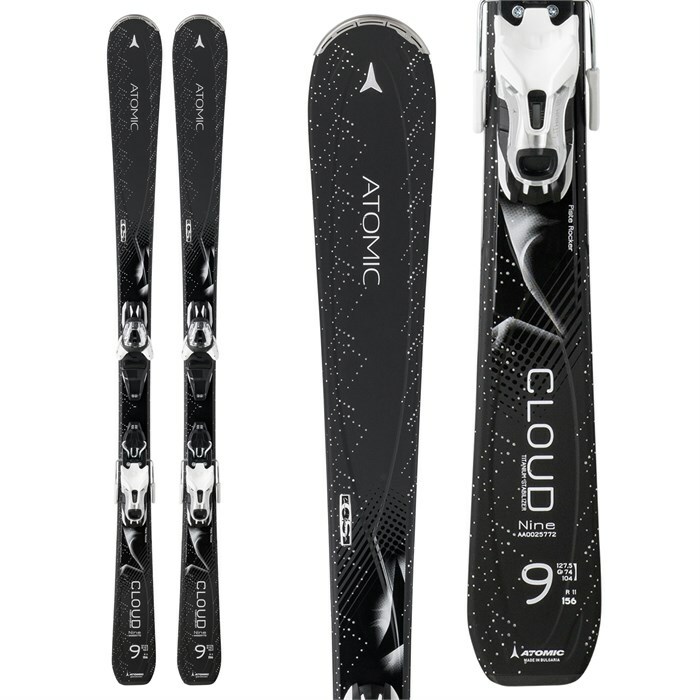 Atomic s premium piste carver, the Women's specific Atomic Cloud Nine Skis + Lithium 10 Bindings offer the perfect combination for hard pack/groomer performance. Featuring piste rocker and a Densolite core, this ski allows for easy turn initiation, strong edgehold and a forgiving yet lively flex. Coupled with the Lithium 10 Bindings, this package was made for the most glamorous groomer riders. To maximize your time on the slopes and continue your progression to an even higher level, try the Atomic Cloud Nine Skis + Lithium 10 Bindings. Piste Rocker 10 / 90 / 0  The perfect shape for prepared slopes, with subtle rocker in the tip and camber underfoot. Densolite Core  A forgiving foam core. Step Down Sidewall  Sidewall underfoot and cap at either end of the ski for the best balance of edgehold, swingweight and durability. Atomic Base  A 7000-Series sintered base that is fast on any snow, can stand up to anything, and is easy to maintain. 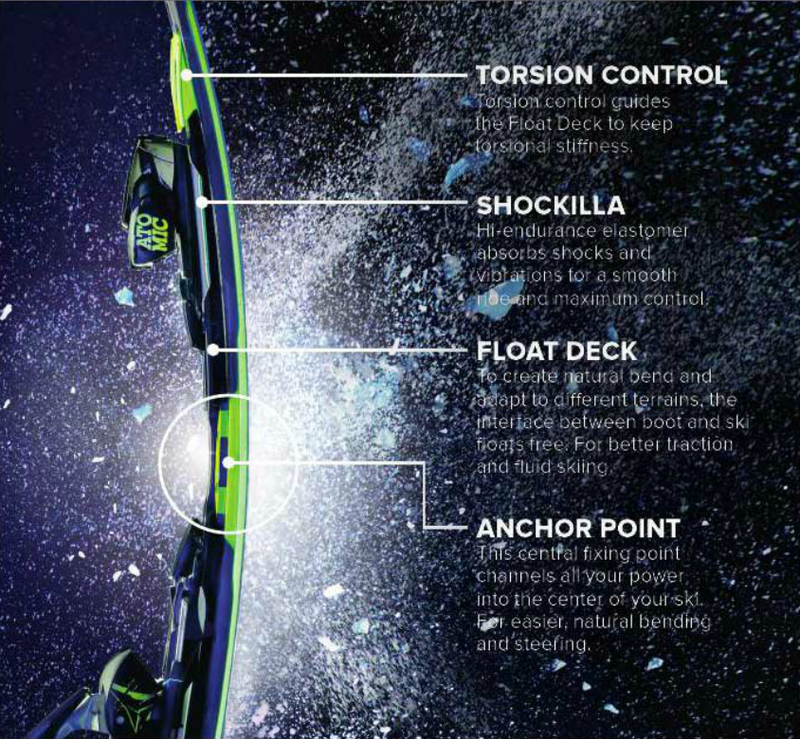 Arc Technology  This ski only has one mounting point in the center of the ski - the Anchor Point. This frees the ski to flex naturally like a bow, resulting in perfect traction and smooth natural rides with less effort. Carving For those that like the classic feeling of laying a ski over on edge and arcing a perfect turn, carving skis are what you want. These skis have narrower waists and shorter turn radii for edge to edge quickness and responsive turn initiation and exit on groomed runs and hard pack. The beginner-intermediate skis in this category are designed to make learning how to turn as easy as going from pizza to French fries.